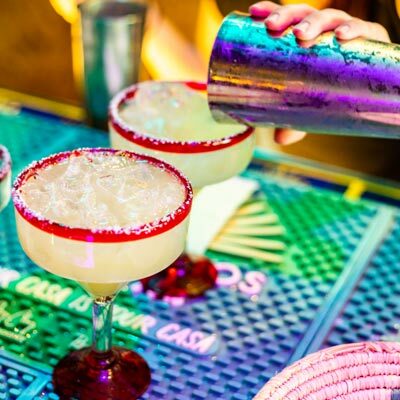 Twenty years after opening his first restaurant, Frank Schultz plans to spice up his THG empire by converting some Tavern locations into the Mexican-inspired Otra Vez. 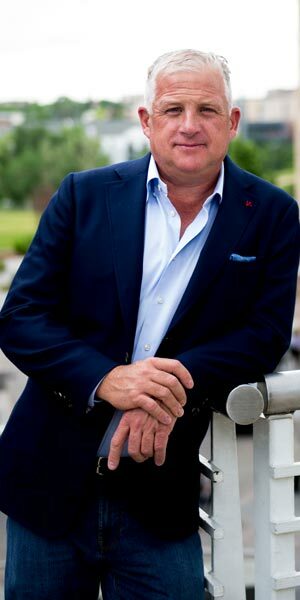 The man worshipping at the altar of alter is Frank Schultz of Tavern Hospitality Group (THG), the owner of all those Taverns, the acclaimed Colorado sports bar/restaurants that have stood the test of time. In recent years, THG has made the move to environments that appeal to a wider variety of moods. For example, THG operates Whiskey Tango Foxtrot, a whiskey bar in the Union Station North neighborhood, and The Soiled Dove Underground restaurant/nightclub below the Tavern location in Lowry. The newest establishment is Otra Vez (español for “again”), a high-energy Mexican bar/restaurant that opened in March 2017 on Downtown Denver’s 16th St. Mall. Plans now call for converting the Tech Center and some other Tavern properties into Otra Vez locations. “The Tavern concept has been running for a long time—the first location opened in 1999,” the extroverted Schultz recently reflected. “I’m proud of what we’ve done. What was important at the Tavern was creating consistency—if you’re at the Tech Center location or Lowry or Uptown, you know what chicken wings you’re going to get, how many TVs will be carrying sports. But the concept isn’t uncommon—anyone can do it operationally. Schultz worked on Otra Vez for two years, going to other markets to conduct research and get ideas. He got input from a few select millennials and his home-office THG team for quality and organization. He brought in a designer from Austin to recreate that bar scene’s unique vibe. 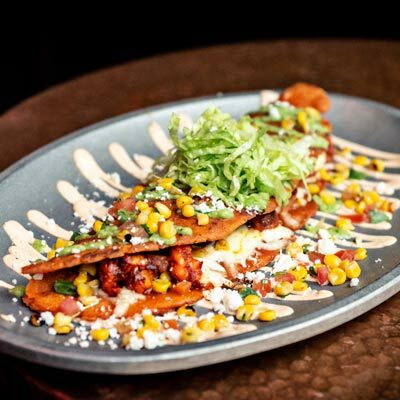 So the Otra Vez menu is a twist—notably a South American influence—on approachable Mexican fare. A prime example could be considered a carryover from the Tavern model: Otra Vez does a great burger. 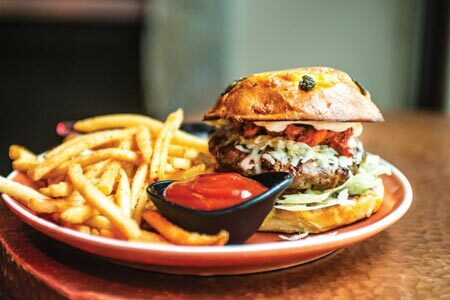 The Chorizo Shrimp Burger is a juicy house-made patty combining beef and chorizo, topped with brightly-hued achiote shrimp, lettuce, tomato and a blend of Quesillo and pepper jack cheeses, drizzled with a habanero aioli and stacked on a jalapeño cheddar bun. It’s got a potent kick, complemented by a side of chile lime fries. The sopas (soups) include a comforting Pozole Rojo (a stew with massive chunks of pork, guajillo chiles and hominy, garnished with radish and lettuce) and Otra Vez Green Chili (a top-notch entry in the competitive marketplace of Hatch green chiles, pork and cheddar cheese). 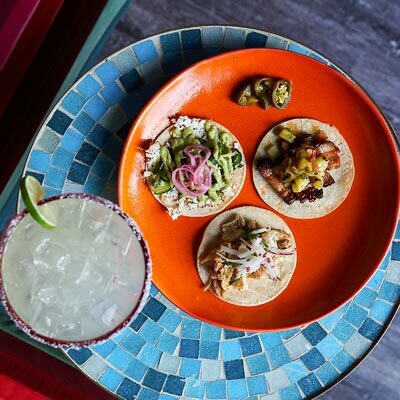 You’ll need multiple visits to run the gamut of Street Tacos, done in the Puebla tradition (try the pork belly or the chicken tinga). There are also inventive takes on salads and the classic burrito and enchilada favorites. 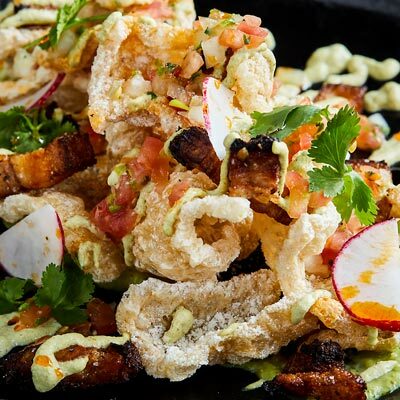 For a snack, get some skin in the game with the crunchy Otra Vez Chicharrones—pork belly that’s braised and then fried to a crisp, tricked out with white cheddar cheese, avocado salsa verde, pico de gallo and chipotle lime crema. The festive élan carries over to the beverage program, which features a wide lineup of tequilas and mezcals (over 200—best to try them in a flight instead of all at once) and a range of specialty beers and wines. Flaming handcrafted cocktails served in giant skull glasses can be shared as a group (Cocteles Para el Grupo, to be precise). The lively décor adds to the character of Otra Vez. A 20-foot floor-to-ceiling bar connects to the street-side patio. 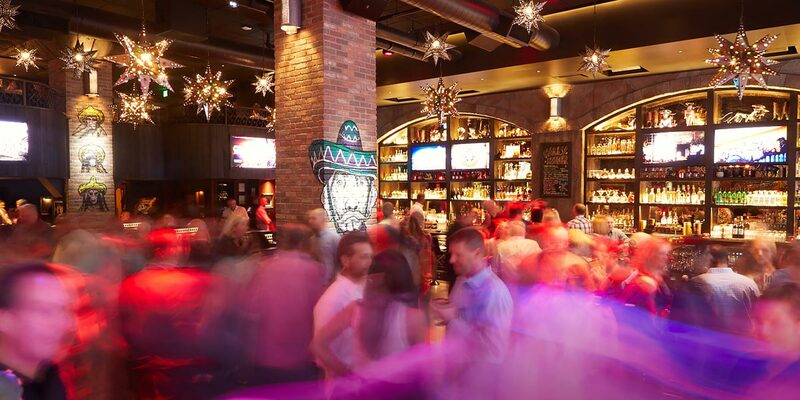 Eclectic decorations weave Mexican- inspired cultural elements from the past and present, the art and paintings on the walls highlighted by imaginative lighting and red accents. On the second level, the stylish Mezcal Lounge overlooks the main floor. The upbeat background music playlist is custom-programmed, and on Thursday, Friday and Saturday nights, a DJ plays Latin music to ramp up the fun and loud conversation. The vibrant experience is elevated by warm and knowledgeable servers—during a recent lunch stop, MacKenzie and the kitchen nailed the goal 12 minutes from ordering to table delivery— and the bartenders sure know their stuff. All told, Otra Vez might rank as Schultz and THG’s most impressive achievement. “The margins are tough,” Schultz admitted. “You have to do volume in any place unless you’re the chef-owner with eight tables. You’ve got a different user today, with a different kind of thinking— marijuana changed things with a millennial smoking a vape pen, or taking an edible and not drinking as much (but eating more), or staying home. With the passage of Amendment 70, Colorado’s tipped minimum wage has increased. And every restaurant has to deal with the labor pool— we fired a bartender for drinking behind the bar and he was working next door the following day. He may as well start writing his commencement speech.